Immigration Expert Speaks at CAC! Top immigration attorney Charles Kuck will be the next guest speaker at CAC’s “Talk to the Professional” series! Join us on Saturday, April 27 from 10 am – 12 pm at CAC, 1130 Hightower Trail in Sandy Springs. Mr. Kuck will share his knowledge and expertise on current immigration laws and will answer questions from our audience. A Spanish translator will be available. The CAC speaker series features experts in various fields of interest to the community such as nutrition and public safety. This event is free to the public! Charles H. Kuck is the Managing Partner of Kuck Immigration Partners LLC in Sandy Springs, Georgia. Chuck serves as the co-chair of the Atlanta Welcoming America Committee. He also currently serves as an Adjunct Professor of Law at Emory Law School. In the recent past, Chuck served as the National President of the American Immigration Lawyers Association and as president of the Alliance of Business Immigration Lawyers. 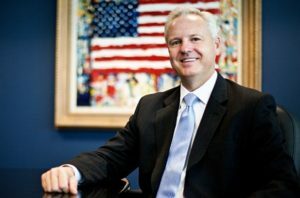 He was again named one of the top 4 corporate immigration attorneys in the world by Chambers & Partners in 2016, and was named one of the 2011 “100 Most Influential Georgians” by Georgia Trend magazine. Chuck has been listed for more than 15 years in Best Lawyers in America, and in Atlanta Magazine as a Georgia “Super Lawyer.” He has practiced immigration law for 25 years, has testified in Congress on various aspects of Immigration Law and Immigration Reform, is frequently quoted in the national press, and appears regularly on television and cable news outlets.